Mom always told us if you say mean things about the other children, they won’t want to play with you, reminds Enterprise Cloud News (Banking Technology‘s sister publication). Larry Ellison, Oracle’s feisty founder, is learning that lesson, if a report on The Information is true. Oracle trash-talked both Amazon and Salesforce last year – particularly Amazon – and now both companies are looking to cut their extensive investment in Oracle databases, according to a report on The Information, attributed to anonymous company insiders. Ellison singled out Amazon in particular for verbal abuse last year, but Salesforce got its share. In an earnings call last month, Ellison said, “Amazon continues to buy Oracle technology to run its business”, spending $50 million during the quarter. And Salesforce “runs entirely on Oracle”, he said. Amazon began exploring Oracle alternatives in the early 2000s. Its retail unit has switched two internal databases that power its e-commerce business from Oracle to NoSQL, according to The Information‘s article. Salesforce has been developing an Oracle database replacement, with the delicious code-name “Sayonara” (which is Japanese for “goodbye”) and is ready to deploy it internally. Salesforce expects to be completely off Oracle in 2023, the article says. 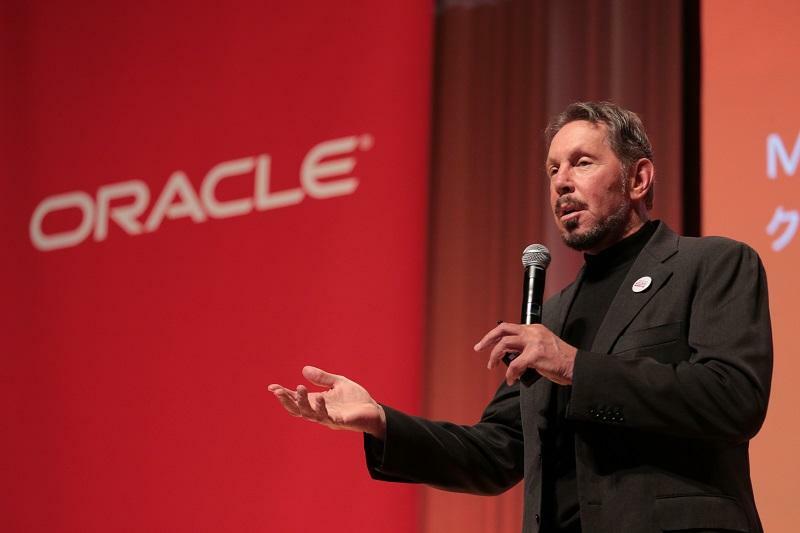 Oracle declined to comment, and Amazon did not respond to a query from Enterprise Cloud News. Amazon and Salesforce may be motivated by cost, as Oracle is very expensive, and Oracle aggressively enforces licensing, which is confusing and easy to violate, The Information notes. Another article in Between the Lines presents an alternate theory: that the two companies are tied to Oracle; they just want Ellison to shut up about it. And, indeed, the development efforts inside of Amazon and Salesforce could all just be a matter of getting leverage over Oracle. By preparing alternatives to Oracle – and leaking news about it too – Amazon and Salesforce could simply be building muscle to negotiate a better deal with the big red database provider. On the other hand: Amazon is stepping up its database service offerings to compete with Oracle, while Salesforce and Oracle compete on applications. Does it makes sense for two companies to rely on a competitor for vital infrastructure? A new packaged solution for payments, retail and corporate banking. Oracle reported total cloud revenues up 44% to $1.5 billion for Q2 of its fiscal 2018.